This is a rich milk based dessert. 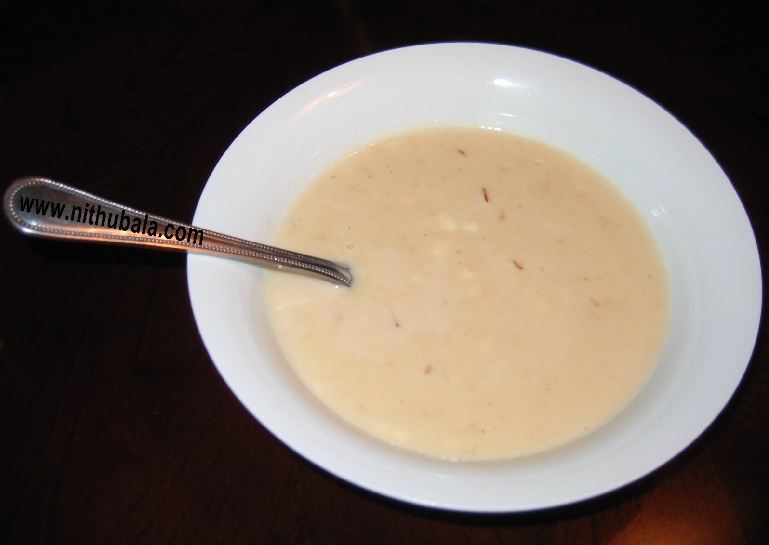 This is usually prepared by reducing milk and garnishing with roughly chopped nuts. Here instead of chopped nuts, I coarsely ground almonds and combined with the reduced milk. This gave a good texture and a delicious taste. 1. Soak almond over night. Remove skin and grind coarsely. 2. Combine milk and sugar. Bring to boil. Medium the flame.Stir occasionally. 3. Boil till milk reduces to half the quantity. 4. Add ground almond, cardamom and saffron strands. 5. Stir once. Switch off the stove. 6. Let the contents cool. 7. Refrigerate and serve chilled. That is so tempting!! nice idea of grinding the almonds... It will also help in thickening!! I love Basundi!!! 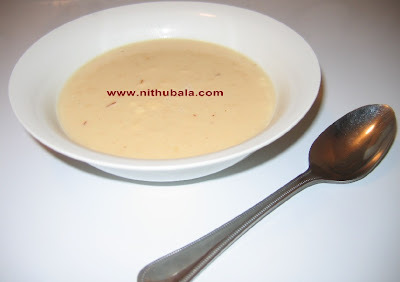 Hey Nithu, is Basundi another name for Rabdi? If not, then what do you think is the difference? very tempting and inviting basundi. Mouthwatering dish. Grounding almond is a nice idea to thick milk. @Nisha,Please check my today's post for the difference.